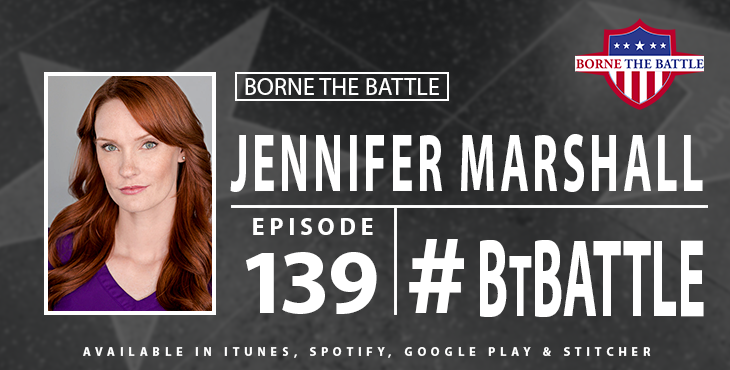 WASHINGTON, DC – Navy Veteran Jennifer Marshall joins us on the show. Since transitioning from active duty, she’s been hustling out in Hollywood. We spoke extensively about her role on “Hawaii Five-O” as a military mortuary affairs officer. Additionally, you may have seen her in commercials as a spokeswoman for New Day USA. Furthermore, Jennifer talks about why she joined the Navy and why she had to exit earlier than she anticipated. She also talks about her husband’s transition and trying to bridge the military-civilian divide. She also shared how the military community in Hollywood helped her gain her sea-legs as she started on this new journey. Finally, we discussed how a military mindset can help you achieve your goals, the misadventures of motion capture for her first (and probably last) video game, and current volunteer projects that she is passionate about. Tanner Iskra has been a video producer for the VA’s Digital Media Engagement team since October of 2018. He is a Marine Corps Veteran, having served as a Combat Videographer. During his military career, he deployed to Iraq in 2005 as well as to Romania, Latvia, Bulgaria, Germany, France and Spain as part of the Black Sea Rotational Force. Tanner is a graduate of the Cronkite School of Journalism at Arizona State University with a Bachelor of Arts in Mass Communication and Media Studies and holds a Certificate in Military Motion Media from the Newhouse School of Journalism at Syracuse University. Hopefully I can help. Specifically, which program are you interested in?